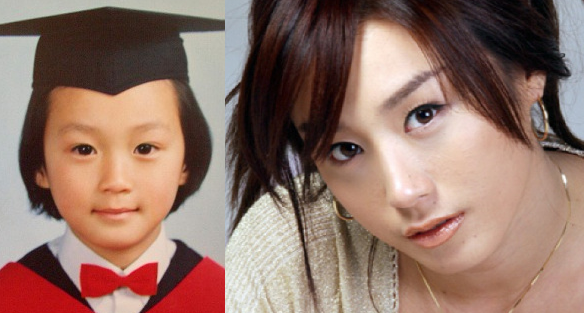 Lee Hee-jin is a South Korean actress and a former member of first generation K-pop girl group, Baby V.O.X. She became an actress after the group disbanded in 2006. Lee Hee-jin decided to pursue an acting career by participating in several theatre plays before she became an actress. Let’s get to know more about the multi-talented woman, Lee Hee-jin. She was a Baby V.O.X member until 2006, but remained close to the other members afterward. She worked on several theatre plays before her rise as an actress. There was 2003 “Funky Funky”, 2008 “Singin’ in the Rain”, 2009 “Monkey”, 2010 “Crash Course in Love” and “Aeja”. She joined 2 variety shows as an actress. 2012 TV Chosun “Choi Hyun-woo and Noh Hong-chul’s Magic Hall” and 2013 MBC “This is Magic”. She was chosen as Best New Actress in the TV Drama category at the 19th Korean Culture and Entertainment Awards. Every woman in the Korean entertainment industry gets a question about plastic surgery. Since the days Lee Hee-jin was a singer, during Baby V.O.X era, there were so many rumors around her about plastic surgery. Fortunately, Lee Hee-jin is free from plastic surgery, since many people believe that she is a natural beauty. Although Lee Hee-jin was already acting during Baby V.O.X era, her first appearance as an actress was on the SBS drama “It’s Okay, Daddy’s Girl”. She is still active as an actress now, although most of her acting appearances are cameos. Let’s hope that she will more frequently appear as a lead role in any project. Here is a list of Lee Hee-jin’s Movies and Dramas.